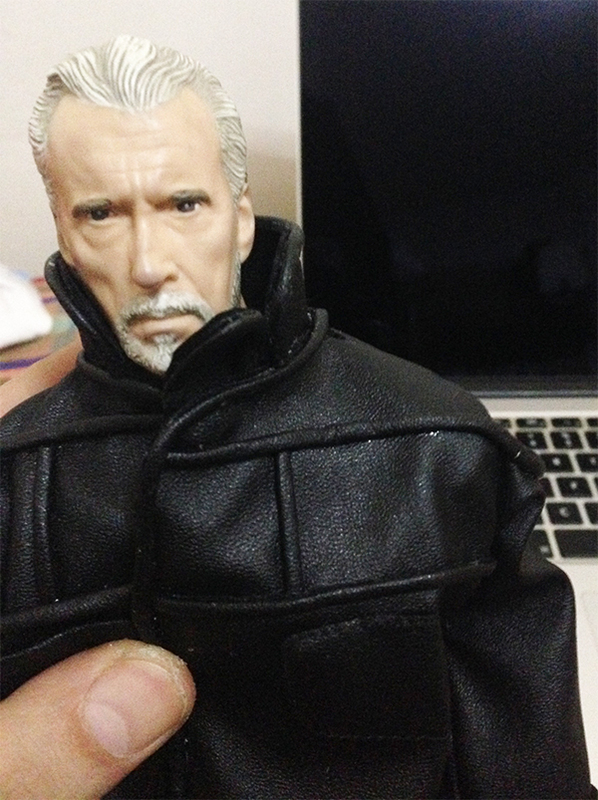 Handmade 1/6 scale Roy Batty black leather jacket from 1982 Blade Runner movie. 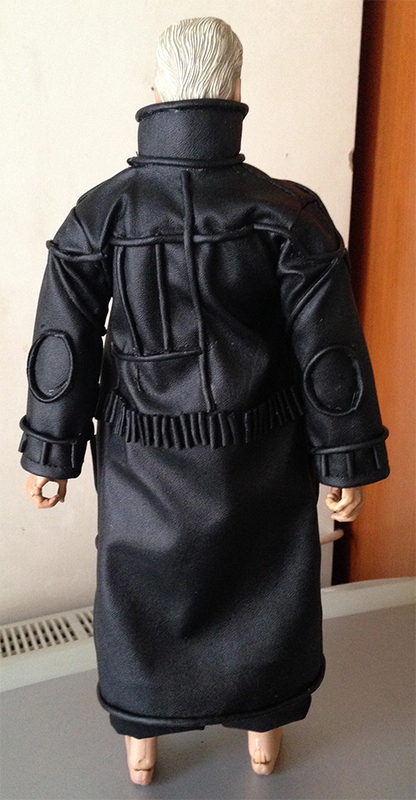 Jacket is photographed on a sideshow body, will fit every 1/6 scale figure. Jacket is NOT made from geunine leather, it is made of pleather, very soft and posable as seen in the photos, with almost every real size detail. This jacket is made per order basis and will be shipped within 20 days after the order is placed.